Sometimes I come across objects on my travels which really do stir my imagination. In the rather traditional beach resort of Littlehampton in West Sussex, I came across – what I am told is – the world’s longest bench. It is apparently 324 m long (1,062 ft), is still growing and offers a seafront perch to all beach visitors. 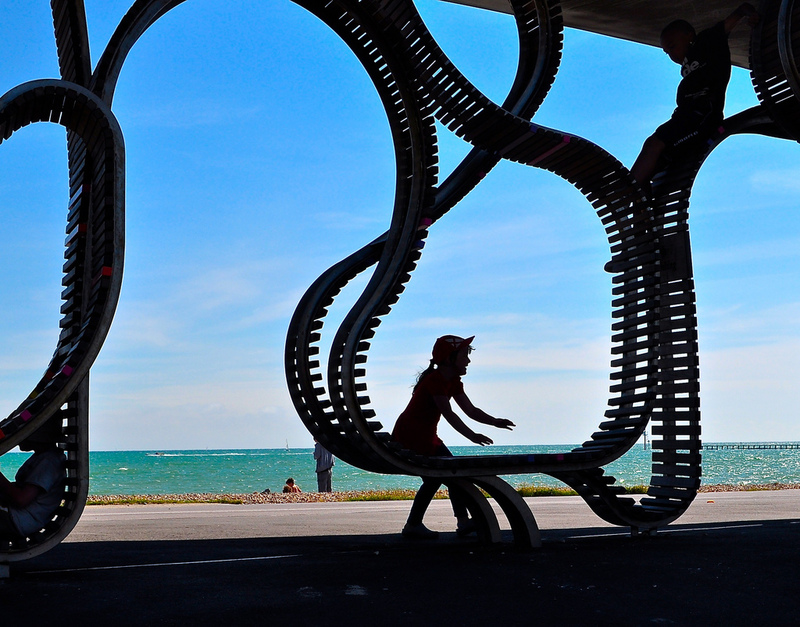 Designed by Studio Weave, it opened in July 2010 and can seat over 300 people along Littlehampton’s promenade. It meanders around lampposts, bending around bins, and here, going a little bit crazy and bouncing up and down within the bronze-finished shell enclosure (shown in these photos). It’s certainly popular with the rugrats and will keep your little monkeys amused for hours! It’s still growing however! 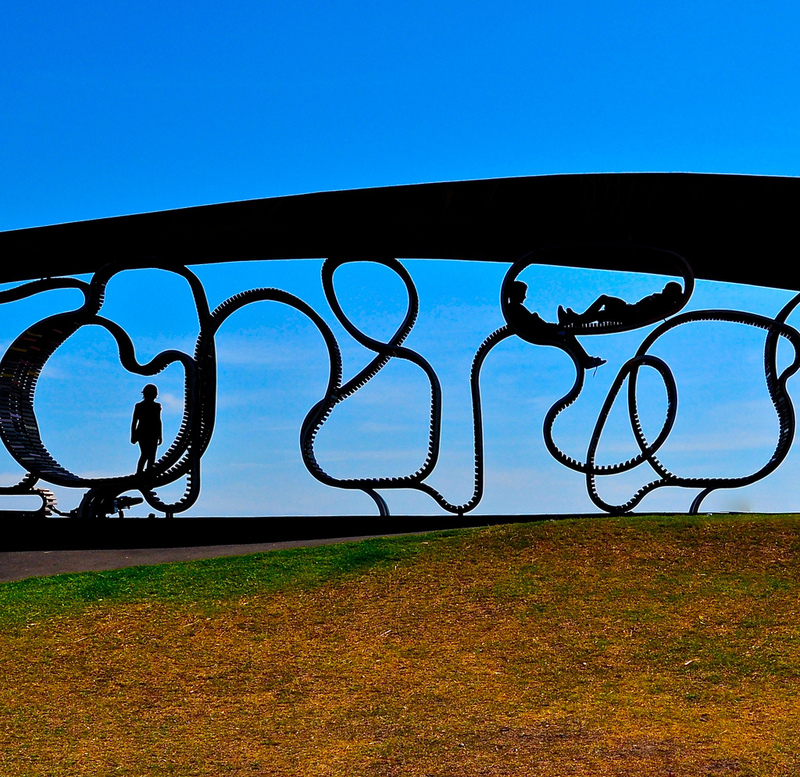 The design allows the landmark bench to keep growing up to at least 621m, seating over 800 and putting Littlehampton in the record books. Made with recycled tropical hardwood slats, along its length, the bench changes colour and tone to warm pinks and rich browns, purples, blues and greens . The project was partially funded by a donation from The Body Show which started in Littlehampton and is just one of the vibrant projects that are regenerating this lovely beach resort. Genius.